Mark advises on matters of cross border taxation and international estate planning. Mark advises global wealthy families, their businesses and wealth holding structures, and the institutions that service them. He is most noted advising families resident or investing in multiple highly taxed and regulated jurisdictions such as the US or EU where they are affected by complex multi-jurisdictional tax and legal issues. 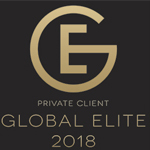 Mark’s practice includes advising on matters of automatic exchange of tax information (including CRS and FATCA), anti-money laundering regimes and information registers (including 4 and 5AMLD), and requirements to report cross border transactions and tax schemes (including DAC6 and CRS Mandatory Disclosure Rules). It also includes the regularisation of untaxed assets particularly where there is a multi-jurisdictional dimension. Mark also advises on matters of UK taxation including the remittance basis of taxation for non-domiciliaries, matters of UK tax residency and the taxation of UK real estate. Mark is admitted to practise in England and Wales and as a foreign lawyer to the EU list of the supervisory commission of lawyers for the canton of Zurich and the Swiss Federation. Mark is a member of the IBA and the STEP Zurich branch committee. He is a permanent Swiss resident with his family in the canton of Zug. Mark is admitted to practise in England and Wales and as a foreign lawyer to the EU list of the supervisory commission of lawyers for the canton of Zurich and the Swiss Federation. Advised and large and widely invested Italian-Swiss trust on regularisation where both the trustees and beneficiaries had unwittingly drifted into tax, reporting and regulatory non-compliance in multiple jurisdictions due to complexity of the cross-border rules to which they were subject. Advised the trustees of a mutli-billion dollar complex Caribbean trust structure on complex matters of cross-border taxation, trust law, family governance and financial services regulation arising from the family members’, family office’s and trust investments’ connections to multiple jurisdictions including the US, Germany and the UK. Advised a UK resident family member of a New York family office on matters of cross-border US/UK estate planning and taxation (including efficient tax structuring of family trusts to avoid double taxation) as well as on the impact of the 2017 UK resident non-domiciled tax reforms. Advised a number of leading Swiss private bank and independent trust companies on the impact of the EU 4th Anti-Money Laundering Directive and introduction of trust registers. The triumph is another milestone in establishing the firm’s growing reputation in Switzerland. On 22 June 2017, the new UK Parliament enacted the Money Laundering, Terrorist Financing and Transfer of Funds Regulations 2017. "He is an excellent attorney and is just a great client-friendly counsel. He keeps you up to date on all the impacting changes especially those relating to clients with a UK connection. He is very practical and doesn't get caught up in the technical language and legal jargon." "He's highly intellectual and very skilled in his area of expertise. He inspires confidence with his legal knowledge."